About a month ago, Omega Healthcare Investors (NYSE:OHI) has made its most recent dividend announcement. The 1.5% dividend increase has brought the quarterly payout to $0.66 per share. 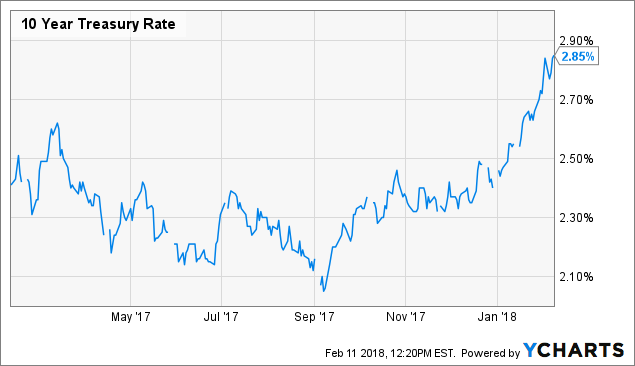 This has made the dividend yield jump to 10.1%, which is a very high yield relative to what investors can get elsewhere. It makes sense to look for the reasons that led to the sell-off in Omega Healthcare’s shares. The first one is the Orianna situation, to which the stock has reacted very negatively. We believe that the long-term impact this situation will have on Omega Healthcare’s results will not be very meaningful, though (as explained above). Another factor is the broad sell-off in income stocks we have seen over the last couple of weeks. Bond yields have gone up massively over the last months and especially since the beginning of the year. This, in turn, has made bonds more attractive for income investors and has led to selling pressure on income stocks as investors are shifting their money toward fixed income investments such as treasuries. 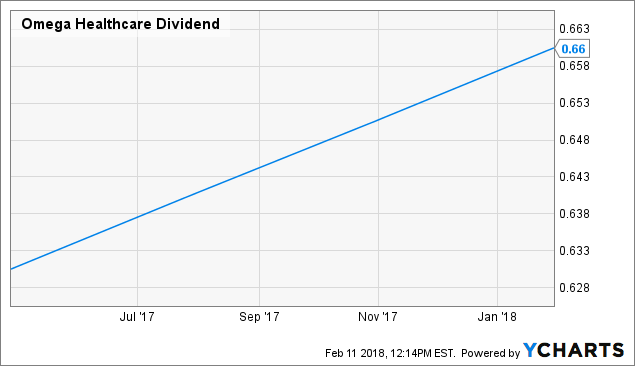 When it comes to Omega Healthcare’s dividend safety, we can compare the $2.64 annual dividend payout to the $3.28 forecasted AFFO per share, and we get an 80% payout ratio. 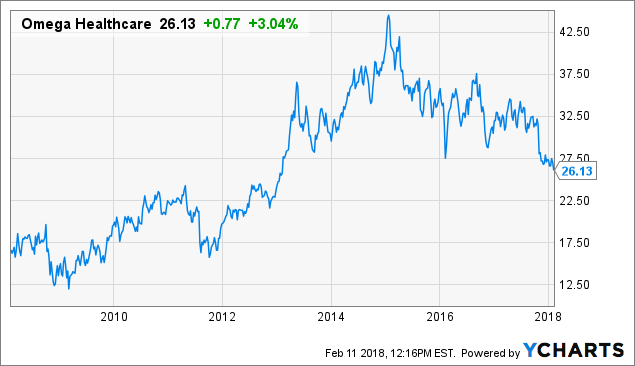 For a REIT with stable cash flows, that payout ratio is not too high. Omega Healthcare’s dividends thus look well covered right now. When we annualize the Q1-Q3 operating cash flow number, we get to a $570 million cash flow estimate for the full year, which is substantially more than the $515 million Omega Healthcare pays out in dividends annually. 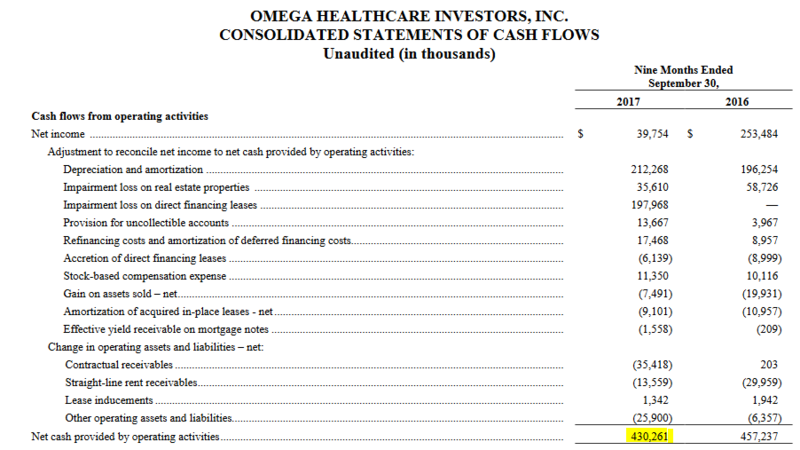 Since acquisitions and investments are primarily financed via the issuance of debt and equity (this is common practice for REITs), Omega Healthcare can afford to return a significant portion of its operating cash flows to its owners via dividends. As the dividend looks well covered by cash flows and funds from operations, we believe that a dividend cut is unlikely for the foreseeable future. Investors thus have a chance to buy into a high-yielding investment whose dividend keeps growing at an attractive pace.